At TLC Dental we offer a revolutionary treatment option that will allow you to get a beautiful smile in one day using immediate, "minimal preparation" veneers using the Edelweiss veneers system. 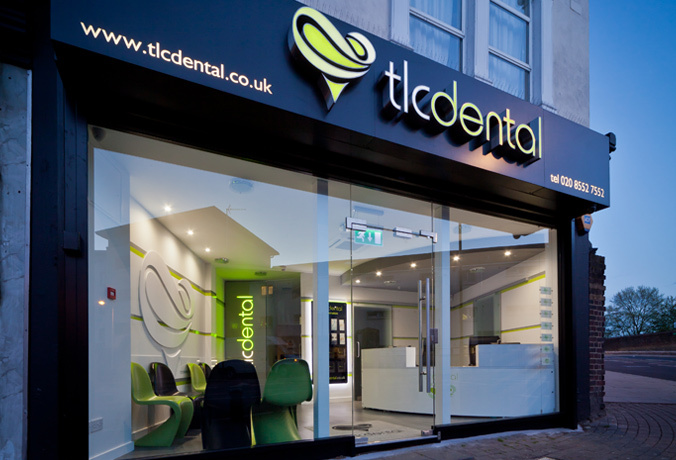 We are one of only a handful of clinics that offer this service in London. Edelweiss immediate veneers are different to the cosmetic porcelain veneers in terms of the material that is used, as well as the manufacturing processes involved. Traditional veneers are made by a ceramist from porcelain, on a bespoke basis. These beautiful veneers offer an alternative. They are made from a white filling material which has been treated by a laser to give them an aesthetic, and natural looking surface appearance. Edelweiss veneers come in a variety of different sizes and both the teeth and the veneers are minimally adjusted and sculpted. As the veneers are already made, they require less preparation of the teeth. Whilst traditional veneers require accurate impressions, temporary materials and a few appointments, Edelweiss immediate veneers offer the benefit of enabling us to create a fantastic smile makeover for you, in a single appointment - and in a cost effective way. Cosmetic dentistry in East London offer minimal preparation veneers at very affordable price at Plaistow.